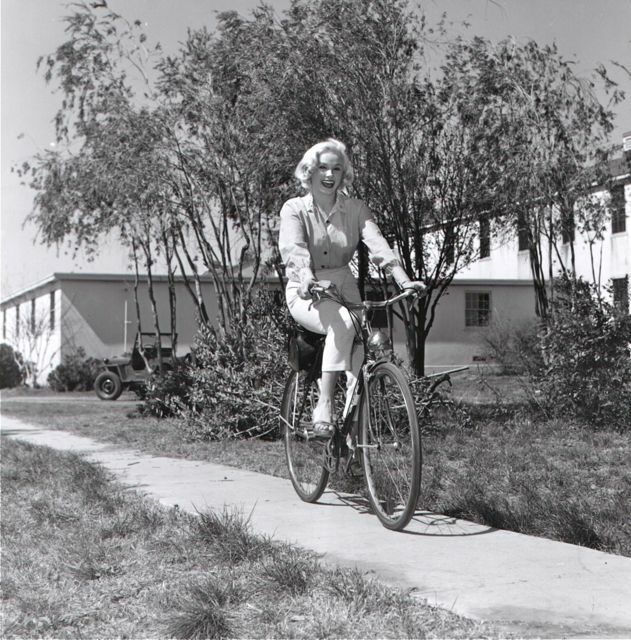 Mamie Van Doren, cruising the Universal studio byways in 1954, in production on Francis Joins the WACs. The actress co-starred as Cpl. Bunky Hilstrom.